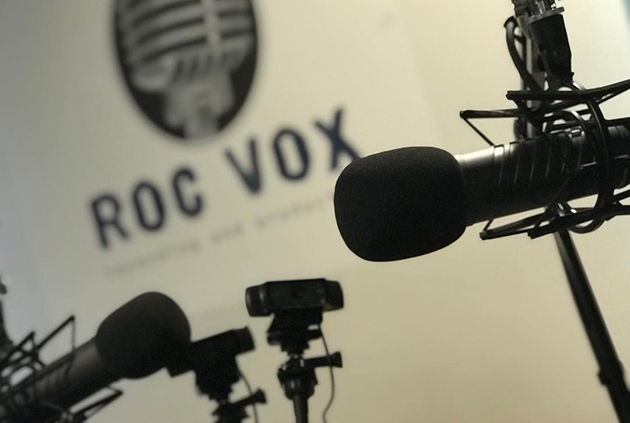 Voice Recording & Production – ROC Vox Recording & Production, LLC. Simply put, we SPECIALIZE in voice recording. We have a unique and proven workflow that minimizes your studio time as much as possible. From eLearning projects so meditation apps and everything in between, we’ve done it and done it well. Just check out our list of clients. Utilizing 30+ years of experience combined with a wide selection of talented voice actors, we offer options. Whether you need a voice-over to educate, inform or simply entertain your target audience, we can help bring your message to life in an effective and compelling way. Our fully-integrated professional recording studio houses a vast range of industry-standard equipment, as well as a team of creative studio engineers on hand to “direct” and provide support. Get started now and tell us about your new and exciting audio projects! We’d love to get involved! In the meantime, check out our Cavalcade of Stars here!